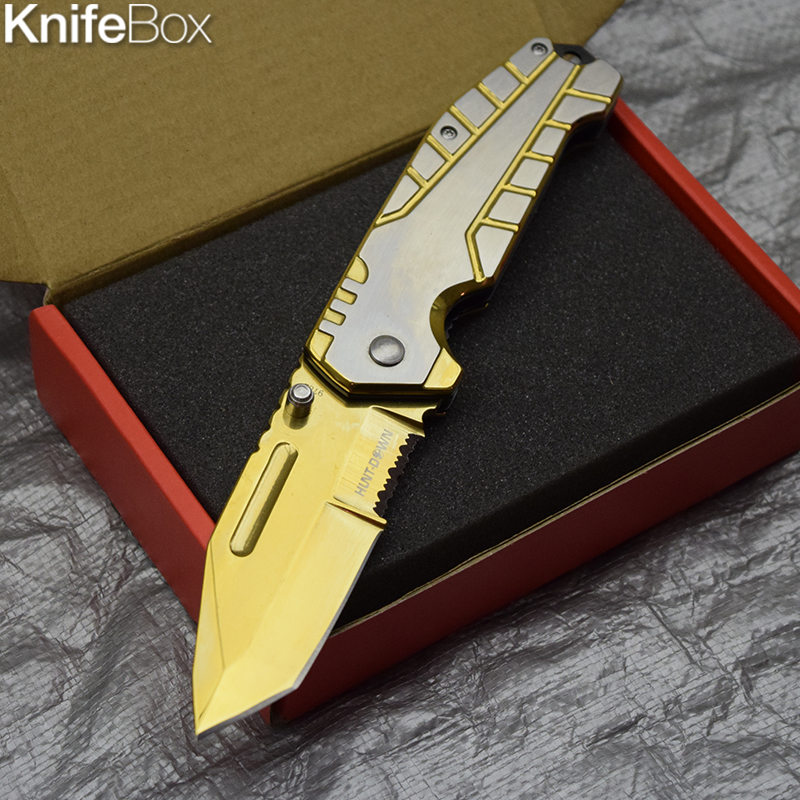 KnifeBox Hunt-Down 8" Gold Ball Bearing Folding Knife Tactical Rescue With Belt Clip :: This beautiful gold tanto point ball bearing knife has a 3" stainless steal blade supported by a sleek yet sturdy stainless steel grip. Measures 8" in length. 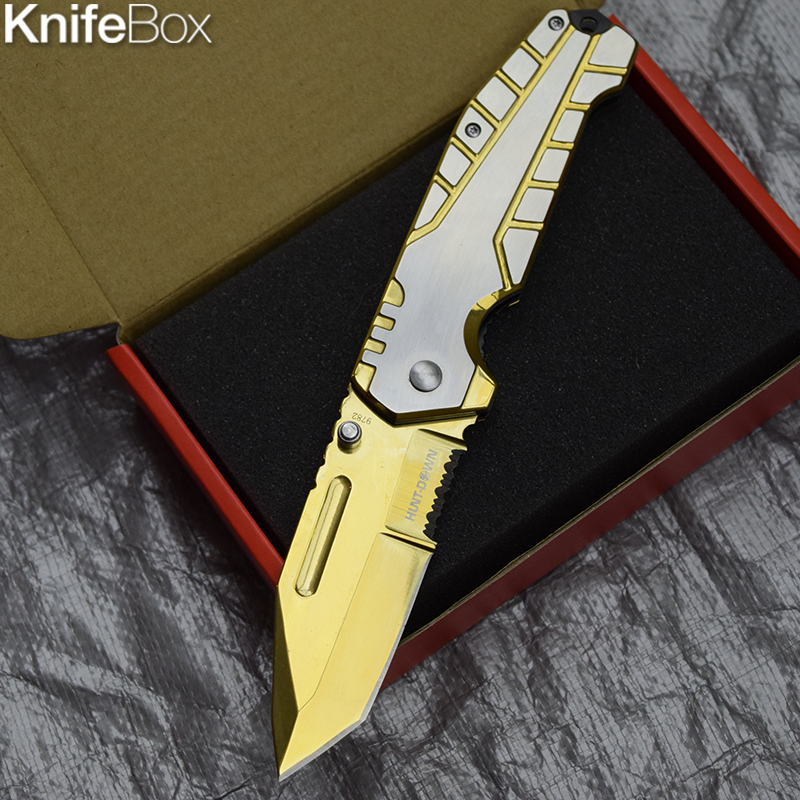 This is a great gift for any knife enthusiast!